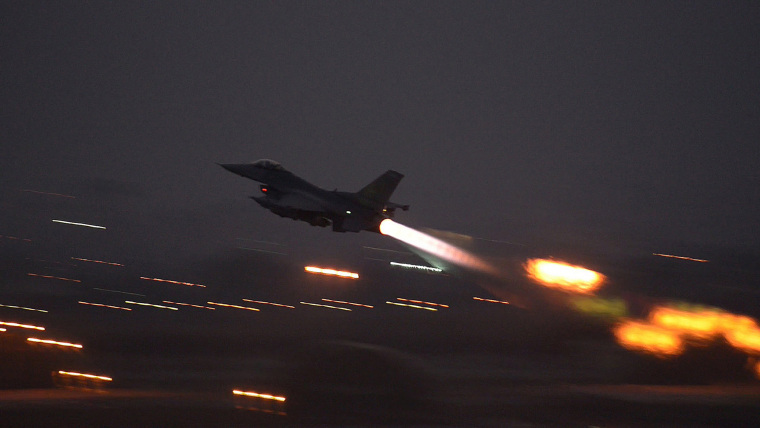 The U.S.-led coalition fighting ISIS militants in Iraq and Syria has killed the group's finance minister and two other senior leaders in airstrikes in recent weeks, a U.S. military spokesman said on Thursday. Army Colonel Steve Warren told a Pentagon briefing that coalition strikes had killed Abu Salah, ISIS' financial minister, as well as a senior leader responsible for coordinating the group's extortion activities and another leader who acted as an executive officer. Related: ISIS Has an App. How Will We Track Terrorists Now? Warren said Salah was "one of the most senior and experienced members" of the group's financial network. The news came as Iraqi security forces reported making advances on two fronts in the city of Ramadi, clearing ISIS militants from a key military command base and a neighborhood on its western edge, army officials said. Capture of the sprawling western Ramadi district of al-Taamim and the Anbar Operations Command headquarters on Wednesday could advance government efforts to retake Ramadi, which fell to ISIS in May. The fall of Ramadi, the capital of Anbar province, in May was the biggest defeat for Iraq's weak central government in nearly a year, dampening its hopes of routing the Sunni militants from the country's north and west.